Korean folk songs meet jazz for a unique blend of music and comedy. 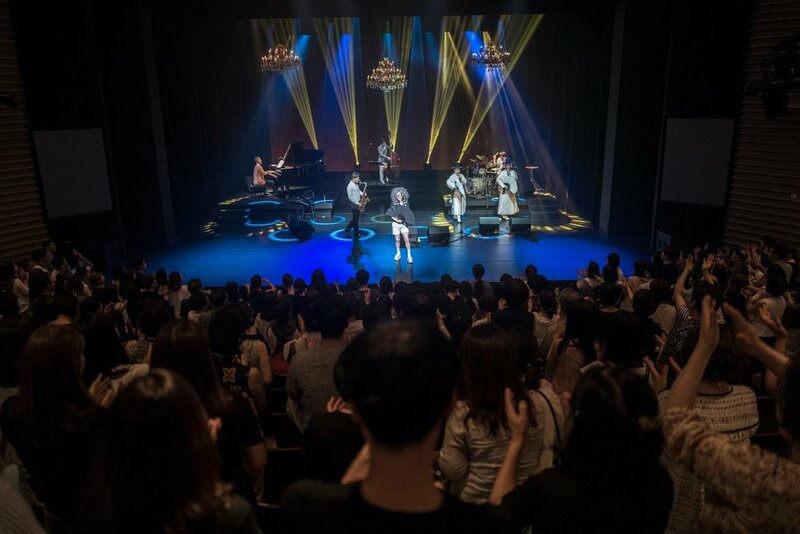 Originally created for the National Theatre of Korea, Korean Men takes a hilarious look at male and female roles today, through the use of Korean folk music and jazz. Led by Lee Heemoon, an extraordinary ‘sorikkun’ (Korean folk singer) who earns acclaim as a groundbreaking iconic artist with each performance, seven Korean Men create today’s sarangbang (salon to receive guests in traditional houses) combining Gyeonggi minyo (folk songs from central province around Seoul) and jazz performed by Korea's top jazz group Prelude, accompanied by an electrifying minyo duo Nom Nom. Lee’s performances attempt a hybrid of genres, taking the vast repertoire of Gyeonggi minyo as motif. He brings traditional Korean vocal music, which has been sidelined in the Korean art world, to the core and creates a distinctive sound that suggests to the audience a new way of appreciating vocal music.